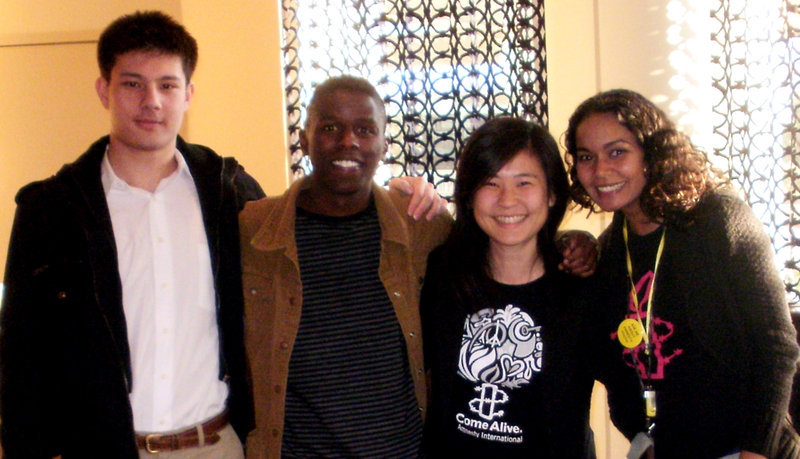 On March 23, 2013, Mbaluka Mutinda was awarded the Ladis Kristof Memorial Fellowship for Organizing and Activism at the Amnesty International USA Annual General Meeting in Tyson’s Corner, VA. Since 2011, the Kristof Fellowship is awarded each year to an outstanding AIUSA activist, who will continue the legacy of Ladis Kristof through a lifelong passion for human rights and activism. Mbaluka is a graduating senior at Stephen F. Austin State University where he serves as group coordinator for his campus Amnesty International group. He completed a two year term as a Student Activist Coordinator organizing grassroots movements across Texas and joined the National Youth Action Committee in the fall of 2011 as its southern representative. His experience includes SAC training, student leadership development, youth engagement, youth organizing and student activism support. He is also one of the AIUSA delegates to Amnesty International’s 2013 International Council Meeting. Drawing from a number of trainings he has helped host, Mbaluka will develop a youth activist training model that can be replicated across the country to strengthen Amnesty’s activist base and to grow the human rights movement in the course of his fellowship. He will complete his 10-week residency at the AIUSA headquarters in New York. His work will be critical in training the next generation of human rights leaders. This entry was posted in Group 48 and tagged Ladis Kristof Memorial Fellowship. Bookmark the permalink.